"I'm a self-proclaimed dessert monster," says Cellucor athlete and WBFF Fitness Pro Jen Jewell. "I'm always on the lookout for delicious and simple ways to have my protein treats while keeping my abs." 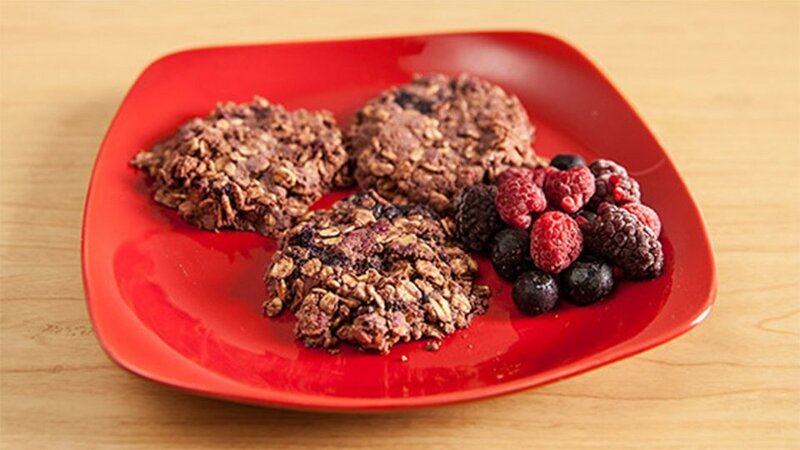 As such, she has perfected the recipe to achieve this goal—her Protein Cookie Delight. Place berries in a bowl and microwave for 45 seconds. Once finished, mash with a fork. Add remaining ingredients to create the batter. Make sure to stir thoroughly so all ingredients are evenly mixed. Place 2-3 tablespoons of batter onto a plate to form each cookie, then place in microwave for 45-60 seconds. Remove, let cool for a minute or two and enjoy.